The press meet of Vijay Sethupathi's Karuppan, directed by R.Panneerselvam, was held this morning, where the whole team was present. The film's music, which is composed by D.Imman, praised Vijay Sethupathi at the press meet. During his speech, he said, "Vijay Sethupathi is 100 percent suitable and perfect for the Makkal Selvan tag. I have started to love him more after seeing his performance in Karuppan. It is a one man show and his dialogue delivery style is just enjoyable. 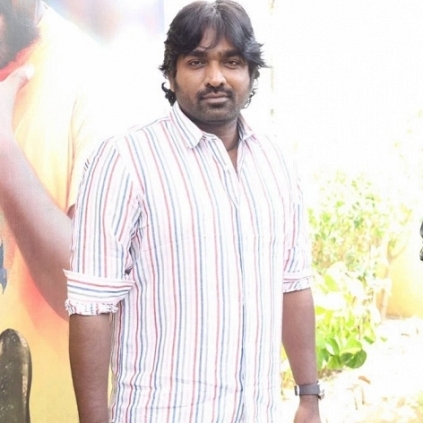 There is definitely a very strong and a stable place for Vijay Sethupathi in Tamil cinema." People looking for online information on D Imman, Karuppan, Vijay Sethupathi will find this news story useful.